December 2-4, 2016, found me and sixty other like-minded people at the New Zealand Skeptics Conference held in beautiful Queenstown on the South Island of New Zealand. 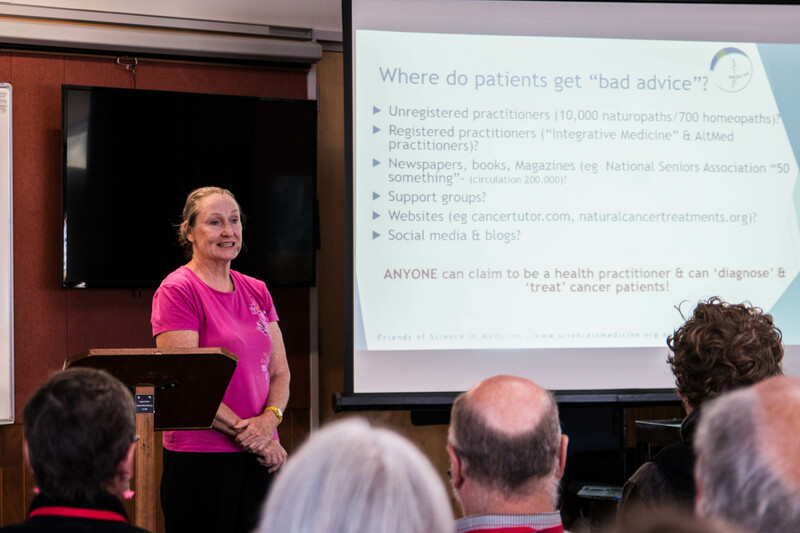 The NZ Skeptics have continually been holding annual conferences since their club’s formation in 1986. A group of friends and associates were following the beginning of CSICOP in America and decided that they would also form a group. At the formation they discussed using the American spelling of “skeptic” to even more closely associate themselves with the Americans and called themselves NZCSICOP, which eventually changed to NZ Skeptics. The NZ Skeptics hold a yearly conference, rotating locations, each sponsored by a local group: Auckland, Dunedin, Hamilton, Wellington, Christchurch, and Rotorua. 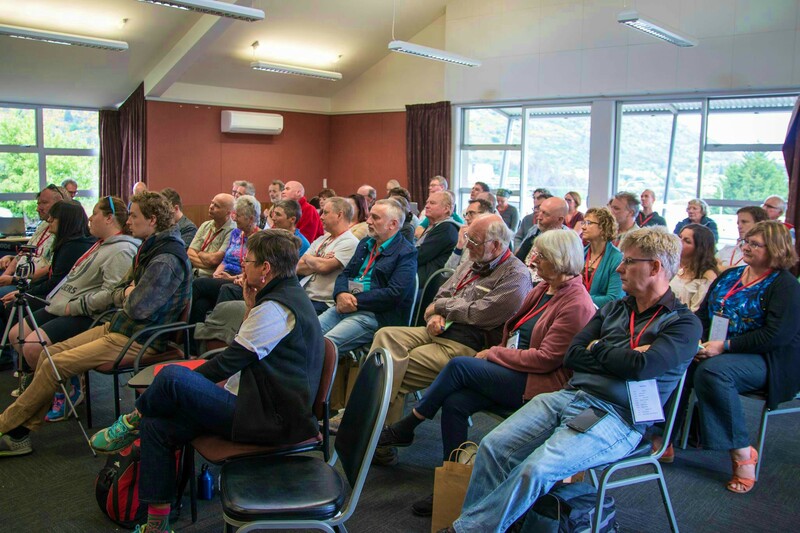 Last year in 2016 was the first year they had held it in Queenstown, and it was the first time the Friends of Science and Reason (Southland Invercargill Skeptics), led by Brad MacClure, organized the event. Brad explained to me that they were interested in a mix of pure science as well as skepticism topics and wanted to use local speakers. They knew that holding a regional conference in a small city would mean lower attendance numbers, but they also knew that this would mean a more intimate relationship between speakers and audience. And that is exactly what transpired. Before I get to the lectures, I do need to mention the venue. I’d never been to New Zealand before and didn’t really know what to expect, other than that everyone had said how beautiful it was. When our plane landed in Queenstown the flight crew told us before we got off of the plane that we were not allowed to stop on the tarmac to take photos or videos but had to keep moving until we got to the terminal. I thought that was odd, but when we disembarked and looked at the vast snow-topped mountains and I felt my heart go WOW. As soon as I got inside the terminal I did have to take a photo. 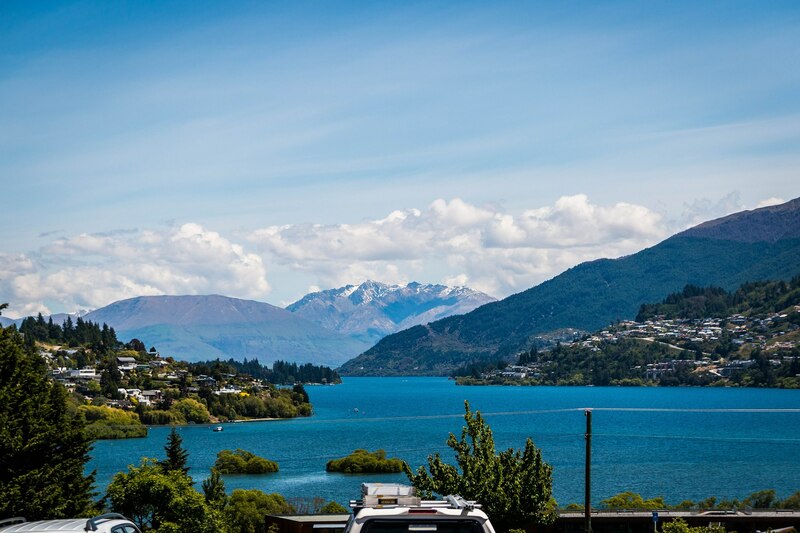 My son Stirling and I stayed in Queenstown for a few days before moving to the location of the conference, which was held in Frankton, about a fifteen-minute drive away, where the airport is located. In fact, the conference was held inside the St. John Ambulance building, a brief walk from the airport. When I was giving my lecture, it was difficult to stay focused on the audience because the view from my vantage point looking beyond the audience was amazing. When people tell you that New Zealand is Middle Earth, they are telling you the truth. Okay, enough with the location, now on to the conference itself. Friday afternoon and evening was the time to meet-and-greet. So much food! They had many volunteers to put this on, but Sheree McNatty went above and beyond the call of duty by handling all the cooking. Chrissie MacClure and Helen Adair were also major helpers. Mark Honeychurch (chair of NZ Skeptics) put on a ten-round game of skeptic pub trivia. It was a lot of fun and great to be on a team as there were several questions about New Zealand paranormal topics. This was my first introduction to the fact that New Zealand has a diverse skeptic world of its own. One of my biggest joys came when the theme was caricatures of famous skeptics and Eugenie Scott’s face came up and one team wrote down “Susan Gerbic.” That was quite a thrill for me. First up on Saturday morning was Australian Loretta Marron. She is the chief executive officer of the organization Friends of Science in Medicine. She is known as the “Jelly Bean Lady” by the media after a televised test where she substituted jelly beans for magnets to compare with an unmodified magnetized mattress underlay that was purported to cure various ailments. She has found she has more success explaining medical claims to the public when she does not use jargon and technical terms. In 2014, she was awarded the Order of Australia Medal for her service to community health, and she has won the Australian Skeptic of the Year Award three times. Marron’s lecture at the conference was focused on activism. She encouraged the audience to complain when they see fraudulent health claims. She advised that they go to their government representatives or to the media and make a fuss, and to be sure to document everything. Local veterinarian Mark Bryan spoke to us about his work with cattle medicine. He had not spoken to an audience of skeptics before and wasn’t sure what would interest the audience. So he talked about his work with VetSouth and the difficulty of finding and using statistics in research in order to best promote good veterinary practices. His service created an app called Disease and Mortality Incident Tracker—dam-iT—for vets to track mortality and diseases in cattle. He also discussed antibiotics and a pilot program called Welfarm they have been using for three years. After morning tea, the host of The Skeptic Zone podcast, Richard Saunders, gave his talk on strange energy devices, “Too Good to be True.” He said that people who support these devices generally lack a good understanding of basic science. They hold a belief in New Age concepts, lack training, and in many cases just have a willful ignorance. They are not interested in looking into any criticism of their product. They tend to be distrustful and are more likely to believe in conspiracy theories; they also have a financial and emotional investment in the device. My lecture on Guerrilla Skepticism on Wikipedia was next. I tried to personalize the lecture talking about the work my team had done in preparation for the conference. Julie and Harald Berents, two GSoW members recruited at the 2015 Australian Skeptics Conference in Brisbane, were in the audience. They had worked for weeks to put together Wikipedia pages for several speakers, including Mark Bryan, Andrew Digby, and Tania Lineham. Prior to the conference, GSoW editor Greg Neilson had created a Wikipedia page for Loretta Marron, and then it was translated into Russian by GSoW editor Svetlana Bavykina. Incidentally, Julie met an attendee at the conference who she learned needed a Wikipedia page. A few months later, Felicity Goodyear-Smith’s page was released. This is another great reason it’s so important to physically attend conferences. When I look back on these pages, I see many photographs and audio clips that were created during the conference. After lunch, we heard from Tania Lineham. She is a science teacher in New Zealand who won the prestigious Prime Minister’s Science Teacher Prize in 2015. Tania shared with us many of her teaching best practices by actually bringing in the equipment that smoked, bubbled, steamed, and rumbled on stage. The sixty audience members were transported back to their childhood love of science. I think we all agreed that we would have more people working in STEM fields if we had more science teachers like Lineham. A much anticipated lecture from Andrew Digby followed. Digby is both an astronomer and an ecologist whose work with endangered New Zealand birds, mainly the Kākāpō, created plenty of excitement in the room. Harald had been working on Digby’s Wikipedia page for weeks in advance of the conference, and I had read many variations of it, which led me to read all about the Kākāpō. Listening to the lecture about how ecologists are using technology to save these flightless birds was just fascinating. Digby is working to crowdfund the genome-sequencing of every living adult Kākāpō to improve the breeding program. Fewer than 200 of them live on the three predator-free islands in New Zealand. We learned about the Takahē, another flightless and severely endangered bird with under 300 adults. Digby works as a scientist on the Takahē Recovery project. Afternoon Tea followed Digby’s talk. This, and a lack of Dr. Pepper and root beer, made it very clear I was not in California anymore! Scott Kennedy was the perfect conclusion at the end of a long day of terrific lectures. He spoke to us about music—actually the evolution of popular music. It was really fascinating to see how musicians build on the work of other musicians, and how with a change of stage presence and attitude they appeared to create a brand-new genre. The evening was not over. We boarded a hired bus for a winding but beautiful trip to Puzzling World in Wanaka, New Zealand. It was quite a ride, at least forty-five minutes, but founder Stuart Landsborough is a member of the NZ Skeptics, so we were given a private VIP visit to the popular attraction. More about Puzzling World will feature in a later Skeptical Inquirer online special article. Day 3 for me began with a walk from my hotel to the conference by myself during which I got so badly lost that I almost missed my own morning lecture. Yep, I was due to speak again. This time I spoke about my work with psychics who I un-affectionately call “grief vampires.” I talked about past sting operations and how cold and hot readings seem to work. When I explained how many Wikipedia page views these psychics get, and how articles written by skeptics can be used to support facts on these Wikipedia pages, I looked out at the audience and saw virtual light bulbs appear over many of their heads. I think that a lot of people didn’t realize that psychics are still very popular and that there are many different avenues open to skeptics to counter their claims of communicating with the dead. Mark Hanna spoke to us about his work submitting complaints to the regulatory boards of New Zealand about alternative healthcare products and practices. He is known as a consumer advocate and science communicator. Hanna often uses Google Alerts and Freedom of Information legislation to keep informed. In 2014, Hanna complained about Amber Teething Necklaces to the Advertising Standards Authority, and sixteen complaints were upheld. He managed to get an article that supported colloidal silver as a medical supplement removed from the Stuff.co.nz website after he emailed them with his concerns about its efficacy. And he pulled data about acupuncture from the Accident Compensation Corporation (ACC) and New Zealand Ministry of Health to discover that the ACC is fully aware that they are spending significant amounts of money on acupuncture that they themselves view as ineffective. While all the lectures were excellent, and I was now fatigued from the whole conference experience, I think I learned the most from Catherine Low’s lecture on her work with the Students for High-Impact Charity. It was the last lecture of the conference, and it challenged beliefs that I’ve long held with very little thought. She explained why some charities are not making good use of your money. I’ve heard that before, but she went beyond that and explained how you can make a bigger impact on society with a smaller donation. You just have to get past your pre-conceived beliefs. One really great example she gave was charity for the blind. Catherine explained that one seeing-eye dog given to one person costs about $5,000 dollars. Getting that dog is a life-changing experience for that person and it feels really good to see them around you. But there are medical procedures that can be done for $25 in Africa that will allow people to see again. This treatment is so inexpensive that in Western countries we think nothing of it. The problem is that the average person donating money will probably never see the results. It does not feel the same knowing you have given sight to someone on the other side of the world; maybe you don’t feel like the money is actually going to the charity but instead to governments as bribes and embezzlement. There was a lot crammed into her talk that I can’t get into in this little article, but really it made me rethink many things that I didn’t know were problems. We ended the conference with a panel discussion by the speakers. The question was, “With twenty minutes a week, what can you do to save the world?” The answers were quite amazing. I was left so impressed with the quality of the speakers and the organization that I can’t fit it all here. I’ve been to many skeptic conferences over the past fifteen years or so, each one with its own flavor and unique style. This one was intimate and friendly, and even though I’m writing this article seven months after attending, I’m still feeling that I got some great information from it, far more information than I would have learned by sitting at home watching the YouTube videos as they uploaded. The memories are terrific. I was able to take some excellent photos, which I’ve printed and look at every day. I shot videos and collected audio. But more important to me were the people I met, many of whom I still interact with on Facebook. I can’t wait until they ask me back so I can see them again. Yes, I know conferences can be expensive; it’s difficult taking time off from work, and who is going to water the plants? And what about the dog? You might not be able to go to New Zealand, but there are conferences happening all over the world, maybe one nearby. You just need to find a way to make it happen. Go! I promise you that you won’t regret it. Thank you GSoW editors Ryan Harding, Stuart Jones, and Gene Roseberry for turning my words into something more readable.